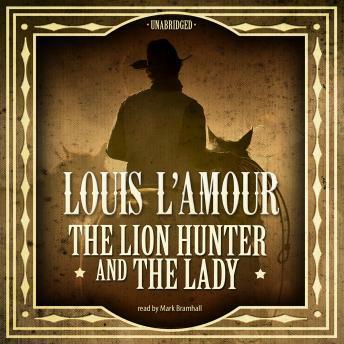 No one describes the adventures of the lone cowboy better than Louis L’Amour, who portrays the human side of the Old West before the days of law and order. Here is one of Louis L’Amour’s short stories, with text restored according to the state of its initial publication. In “The Lion Hunter and the Lady,” the lion hunter is called Cat Morgan because of his reputation for being able to bag mountain lions alive to sell them to circuses and zoos. As the story opens, Cat is starring down one of the biggest mountain lions he has ever seen. Assisting him is old Long John Williams, a man who is a wizard with a rope, once Cat can lure the prey down onto the ground from a tree. They are interrupted in this work by a lynch posse. Karl Dorman, who is leading the posse, accuses Cat and Long John of having run off his horse herd. It isn’t a question of taking them in to the sheriff. Dorman intends to hang them right there.